Ever since Ronald Reagan told us in his 1981 Inaugural Address, “Government is not the solution to our problem; government is the problem.” government bashing by right-wingers, Republicans and many Democrats has been a constant drumbeat of political rhetoric. 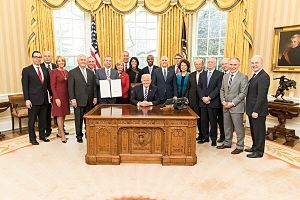 Now we have Trump with his “Kill 2 regulations for every new one” and a government dominated by Republicans for whom destroying government has been an objective for decades. We are faced with the probable destruction of many government agencies whose job it is to protect us from capitalism. One of the basic features of capitalism is the requirement that businesses avoid any costs that they can. Basically they are required by the rules of the competitive game to get someone else to pay for anything they can shirk off. Without countervailing forces, the government, unions, and other social organizations, stepping in, capitalists will externalize any cost they can. This results in capitalist firms destroying the environment by unsustainable exploitation of the earth (see mines, forests, rivers, oceans); polluting the environment (air, water, landscape); maintaining unsafe working conditions; paying wages below that required for people to have a sustainable life; engaging in speculative risky gambling (see our financial sector for the most recent egregious examples of this); creating and marketing products and services based on manipulating demand through false, misleading and manipulative advertising. None of this being done because capitalists are evil people. 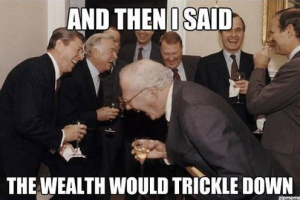 This happens because the rules of the capitalist game require it to happen. If another firm, lets say a paper mill, is avoiding the costs of cleaning the water used in production before returning it to the river, the competitor paper mill must do the same. Otherwise, their paper would cost much more and they would not survive in the marketplace. Without government, unions, and social groups setting the rules of the game with regard to “external costs” capitalist firms must cast off as many costs as possible. This is the simple inescapable law of capitalist competition. 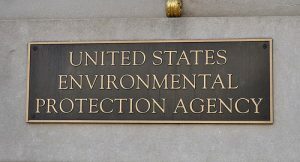 The EPA is a favorite target of government bashing. Let’s look back to why the EPA was formed in 1970 by Republican President Nixon. 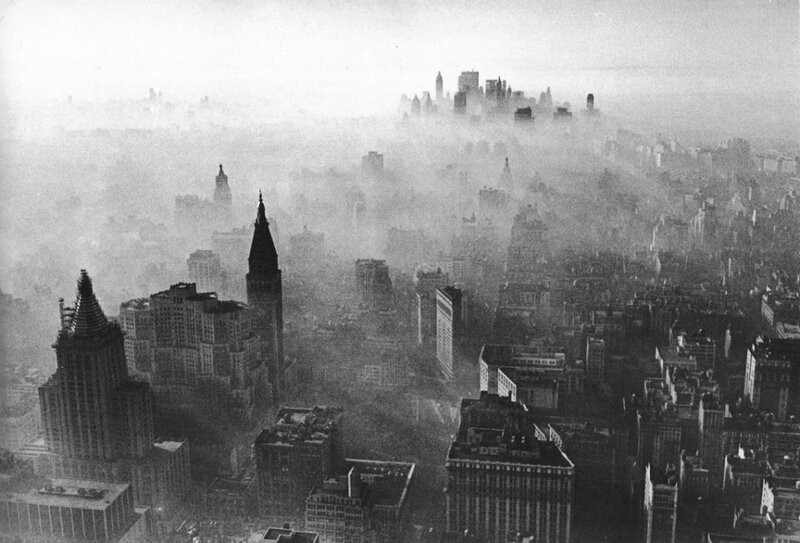 Many readers are too young to have first hand knowledge of how widespread environmental pollution used to be. 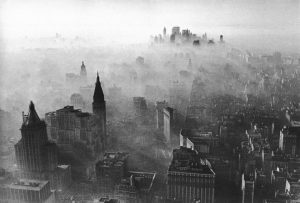 From the Empire St building – photo by Neil Boenzi originally published in NYTimes. 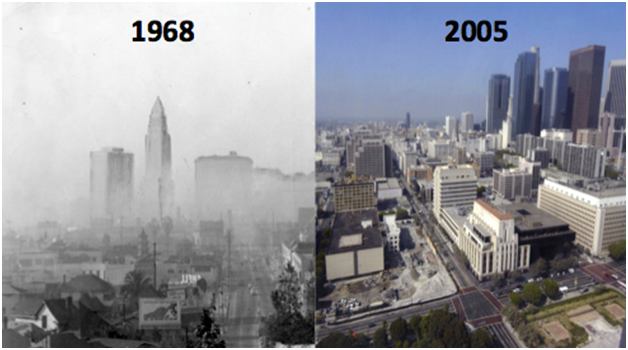 Here is a comparative shot from Los Angeles – 1968 – 2005. The catalog of capitalism’s inevitable sins is way too long for this brief piece. The breadth of the costs of this central feature is quite astonishing and in some perverse way, inventive. In recent years we have seen new forms of externalized costs unthought of earlier. Do a search on “farm waste pollution” or “chemical pollution” for more examples from our current situation. Another cost that capitalists seek to reduce, or eliminate, is labor, wages and salaries. The food industry is a good example of where non-union, minority workers are exploited because no one will protect them from the cost avoiding behavior of the capitalist system. Without government protections capitalists will pay as low a wage as possible regardless of whether the wage allows workers to live a reasonable life, raise their families and educate their children. Capitalism is not concerned with how the human resources of society survive and reproduce the next generation of workers. The food we eat every day is plentiful and comparatively inexpensive because the farms that grow it are largely outside the protections of fair labor and minimum wage laws. Many farm workers are undocumented migrant workers from Mexico and other countries to our South. “Annually, the average income of crop workers is between $10,000 to $12,499 for individuals and $15,000 to $17,499 for a family. To give you an idea, the federal poverty line is $10,830 for an individual or $22,050 for a family of four (in 2009). Thus, according to NAWS, 30% of all farm workers had total family incomes below the poverty line.” http://nfwm.org/education-center/farm-worker-issues/low-wages/ Many are migrants and therefore their children do not have stable school lives. This is not a new story. In 1960 Edward R. Morrow reported on this exploitation in one of the most famous documentaries of the TV history, Harvest of Shame. The facts today are only marginally better than 57 years ago. Externalized costs, cost avoidance and shirking wherever possible are structural features of capitalism that people can and must control. Capitalism is structurally unable to control these outcomes. It has no capacity to see or react to the consequences of the actions of it participants. It requires perpetual mindless growth with no regard to any needs outside of its own needs. People and nature be damned. With the present weakness of unions and other social forces, government is the tool. We must take the government back from the rich and corporations. Capitalism was created through the joint action of government and private entrepreneurs. It is not some ideal system, rather the result of struggle between various elements in society. Its present structure is the result of more than forty years of political action by the rich and corporations furthering their ends. Time now for the vast majority to assert their needs to be expressed in the economy.